So Dave and I are a little obsessed with IMBD. Anytime we watch a movie we always check out what other movies the actors have been in through IMBD. You can also find a list of interesting facts for most movies. Whose to say they are all true, but still cool. The trouble-making poltergeist Peeves (played by Rik Mayall) does not, in the end, appear in the movie nor in deleted scenes on any home editions of the film. Mayall claimed he didn't find out that he was cut from the final cut until he saw the movie himself. Filming the torture scene where Bellatrix is torturing Hermione at the Malfoy's Manor at the climax proved to be very intense for the actors involved (Most of the scene was cut to avoid an R rating in the USA and a 15 rating in the UK). So intense and brutal as it was that Helena Bonham Carter approached Emma Watson right afterward to make sure they were still on good terms. Daniel Radcliffe reportedly broke 80 wands throughout the series because he used them as drumsticks. The script was originally written, like the book, to include Draco Malfoy's bully friends, Crabbe and Goyle. As in the book, Crabbe was to be killed in a climactic battle. Jamie Waylett's arrest and conviction on drug charges, however, forced the filmmakers to change this plan. Crabbe was written out of the script, with Goyle being killed in his place. Another Slytherin character Blaise Zabini (portrayed by Louis Cordice) takes Goyle's place from the book. 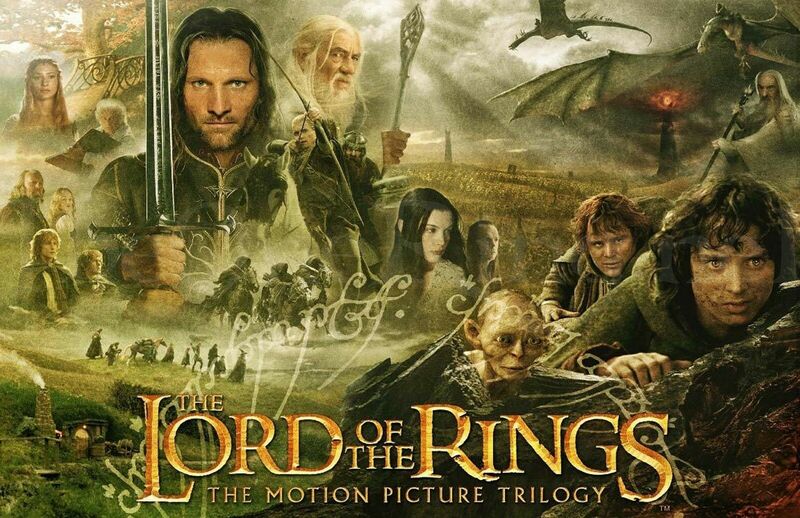 The Tolkien estate was never in favor of Peter Jackson's film adaptation but seeing as J.R.R. Tolkien signed the rights away in 1968 for $15,000, there was nothing they could do about it. Tolkien's grandson Simon came out in support of the production and was disowned by his relatives. Tolkien's son Christopher Tolkien later retracted any opposition. Hobbiton was made a year before production began to make it look like it was a natural, lived-in place, complete with real vegetable patches. The greens department regulated the length of the grass by having sheep eat it. Loved that. :) I learned all sorts of new things!